Do you have tour plan or any places to request?? Thank you for visiting our website, We have some recommendation for tour in Bali. BUT All submitted to the guest desire. If you have own tour plan or itinerary we very happy to drive you in Bali, if not sure we have some recommendations to you also we can discuss WHEN WE MEET in lobby Hotel ( WE are very flexible services) We here to serve not just transport services but also provided the guided tour package.Please don’t hesitate to contact us if you need more information ! We are happy to waiting you in Bali. 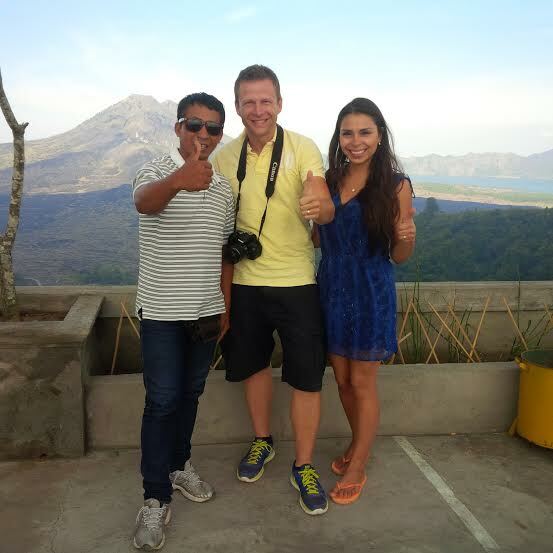 – Trekking : Mount Batur Caldera/volcano : 50$/600k, cost person min 2 person include Breakfast,English speaking driver & Guide,private car, Entrance ticket,Try Bali Coffee. Hi …me and my husbanf are staying in grand tulip denpasar. We are looking for a tour package for 2 days. The problem is tomorrow we have to attend for short ceremony in Aston denpasar around 3.30 to 4.30. Do you think u can accomadate us. Hello, I have sent an email request on 6/4/15 for our trip to Bali in July. I still haven’t received an email back in regards to the requested days. When can I expect a response for our travel dates. My wife and I will be arriving on the 5th of june. So we would like to start on the 5th early in the morning. Untill the 12th of june. So in this periode, we would like to see the beautiful Bali. We don’t want to drive ourselves. What can you arrange for us? I’m looking at doing a half day tour today with my family out to the rice fields and temples. We have 2 adults, 2 children and 1 infant. Are you available today around 11?